Well, whatever cobbled together story mode that existed within Kinect Adventures, I completed it on Sunday afternoon. While I have not played much of this game since its initial release, it is still a lot of fun to play, plus you can get not to bad of a workout from the activities within the game itself. 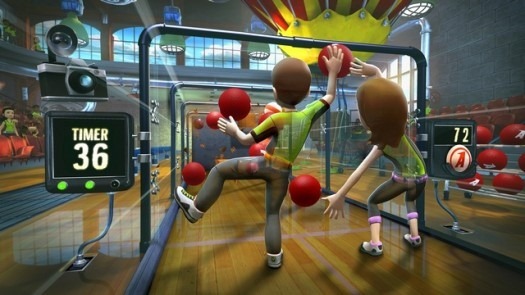 I have always enjoyed those thin-rubber dodge balls from my youth so I can relate to the that game mode within Kinect Adventures. The train-car and the river raft are a blast as well. For beating the game I also earned a slick Kinect Adventures jumpsuit for my Avatar! While still very much a proof of concept, a lot of fun can be had within. One of the most understated aspect of Kinect Adventures is the Living Statues. When you complete certain tasks within the game you can unlock virtual puppets that will mimic your actions and can also distort your voice! These videos can be viewed again, or also recorded for future uses from Kinect Share. Above was the video I recorded from the living statue I earned for completing the game’s campaign. I recorded a couple of different ones which are available at my YouTube page, SUPERGHOST TV. Kinect Adventures remains a fun game and is still the main pack-in with the Kinect sensor. I think I would like to continue breaking this out on occasion just to get a good sweat going…or record another living statue! This entry was posted in Action/Adventure, Gaming Videos, Kinect, Mission Accomplished. Bookmark the permalink.